We get another very solid episode from this show. The story of Tanjiro and Nezuko as they deal with their new reality has been enjoyable to watch. I’d say the existence of Nezuko is a crucial element to making this show work. 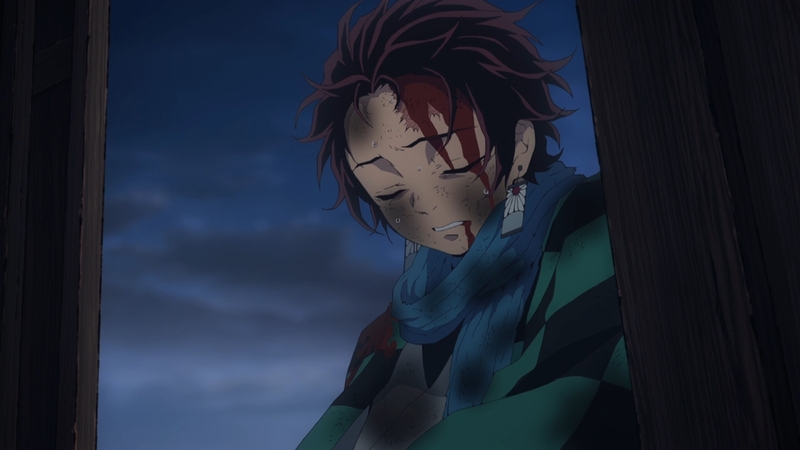 Tanjiro by himself either trying to avenge his family or dealing with grief might not be that enjoyable to follow around. With Nezuko around he has a proactive goal of protecting his sister and trying to find a way to restore her back to who she used to be. The guy has a long road to go in order to be able to do either of those things. He’s still very hesitant and tends to freak out from the unexpected. Not that you can truly blame him, but I agree with Sakonji that he needs to make faster decisions. Hesitation could be deadly. My favorite character in this episode was honestly Nezuko. There was nothing but “holy smokes” reactions when she just kicked that demon’s head right off. Of course they are durable enough to survive quite a bit of damage, but that was awesome. But beyond that she gets great character moments without many lines. In theory you could find the drooling scene comical or disturbing. But it really showed the struggle she’s dealing with. She’s been changed into something not quite human. There is an intense desire to eat and human flesh is on that preferred menu. But Nezuko didn’t launch herself into that room and when her brother was in danger she reacted. I’m glad the show will make good use of flashbacks to continue developing Nezuko. We couldn’t spend much time at all with her before she became this demon. So in order to care about Nezuko as a whole we need more moments to see who she was and who she is. And naturally we need more in order to stay invested in that sibling bond which is at the core of everything. She isn’t quite human anymore, but there is humanity inside of her still. The action was pretty solid thus far. We got some nice little moments like Tanjiro reacting well with his hatchet and the siblings in a sense having to fight a 2v2 showdown. Just shows the crazy potential of demons that they can keep fighting with their heads detached from their bodies. It does seem like you really need to smash some heads in order to put them down for good. In that sense it is a bit surprising that these demon slayers arm themselves with swords instead of giant hammers. I know its Japan, but proper tools for the proper job should be the focus here. 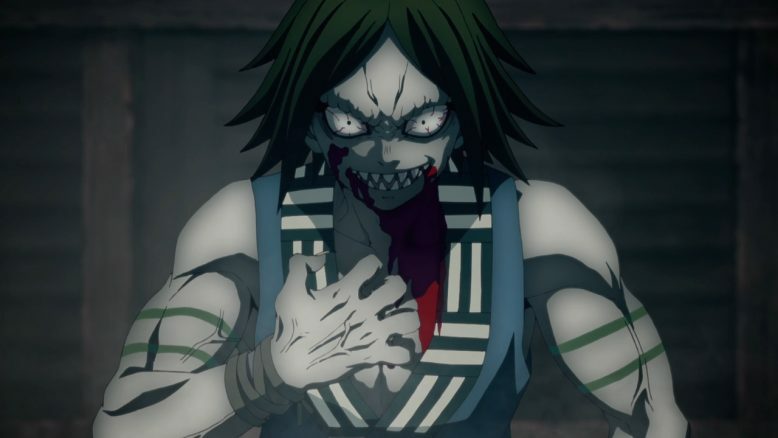 At least the first demon they encountered had some personality and showed what demons can very much be like. Not just crazy and feral beasts here. That was one heck of a test Tanjiro had to take near the end of the episode. He went through the ringer and had to really pull through with everything he had. 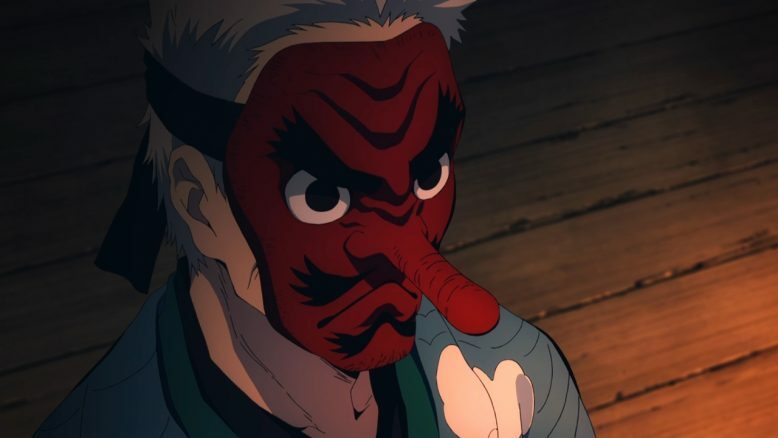 Of course that old guy was informed about Tanjiro ahead of time so he could set up traps that were avoidable only if the person had an unnaturally good sense of smell. Still a bruising test just because there was no way to avoid everything. And I like that it was set up with some intelligence. It wasn’t just a mountain of traps. Rather the mountain was at an elevation that made everything more taxing and Tanjiro was made to run for an insane amount of time so his endurance was pushed to the limit. It was necessary to step up in order to satisfy Sakonji. Overall this was another solid episode. It wasn’t as emotionally hard hitting since the first episode had a lot going on. But it was important to see Tanjiro making steps on the path to being a demon slayer. It was also important to see how his dynamic with Nezuko would turn out and that was a really nice part of it. 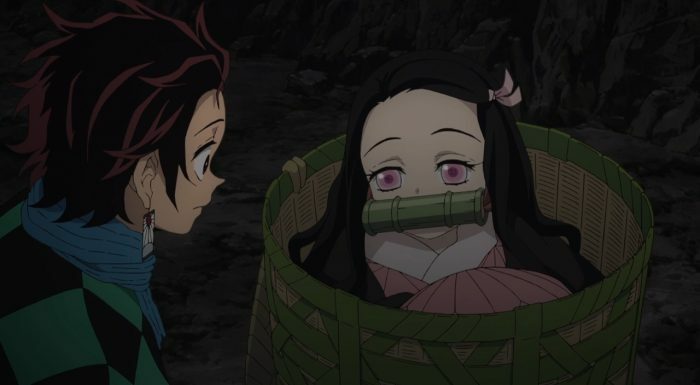 You got some cute moments like Nezuko digging burrows to really stay out of the sun or shrinking to fit into that basket. We did get some light and fun moments before things got particularly tense. We’ll see how things shape up from here and whether I pick it up for the season. But overall I enjoyed what we got this week.